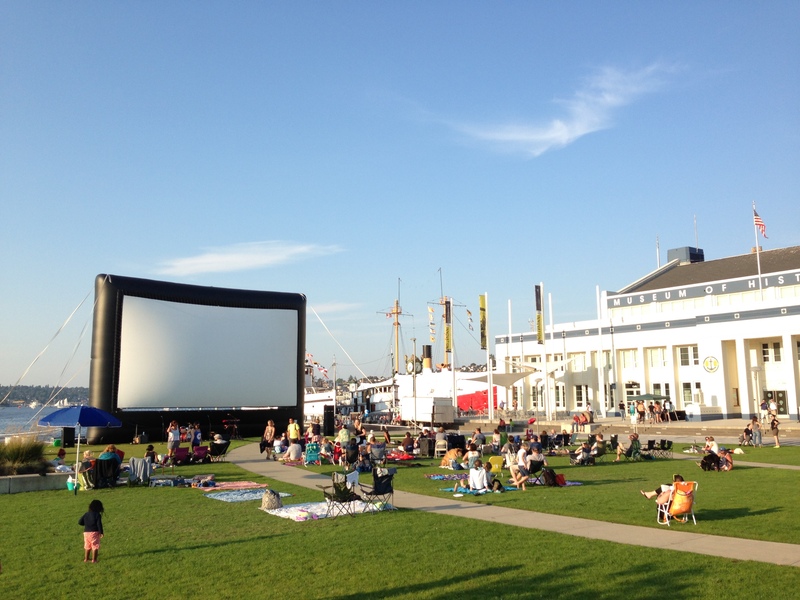 Seattle outdoor movies and event equipment rentals. 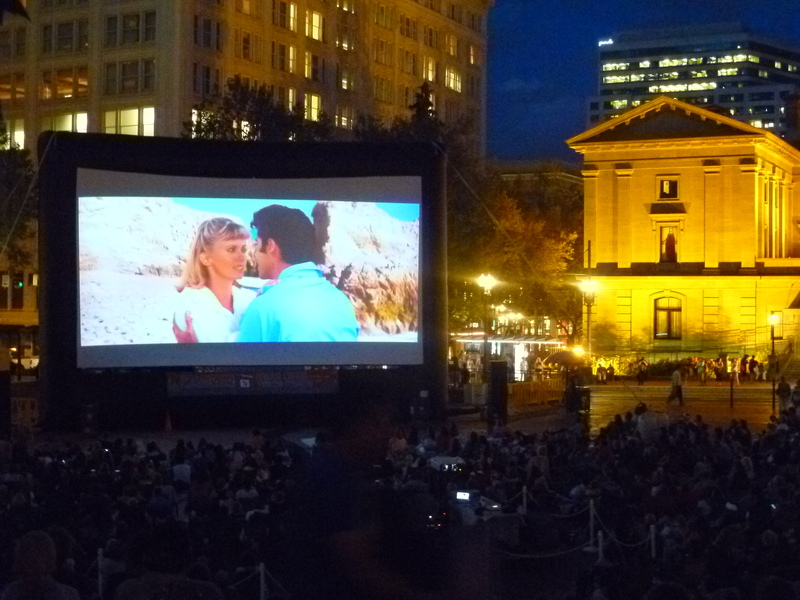 Portland Outdoor Cinema rentals. Inflatable blow-up screen rental and equipment for drive-in movies, outdoor theaters, outdoor cinema events and event productions. 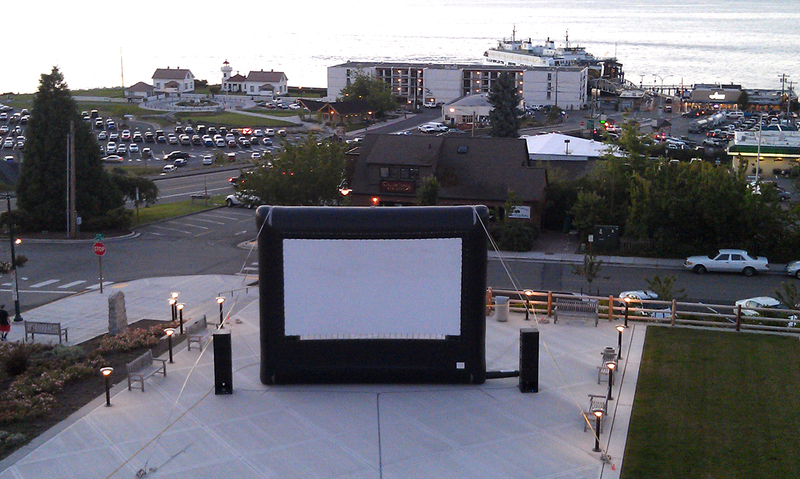 Epic Events services Seattle, Portland, Bellingham, Tacoma, Bellevue and offers complete outdoor cinema event rentals, equipment and drive-in movie rental packages throughout Washington state, Oregon, Idaho and the Pacific Northwest. 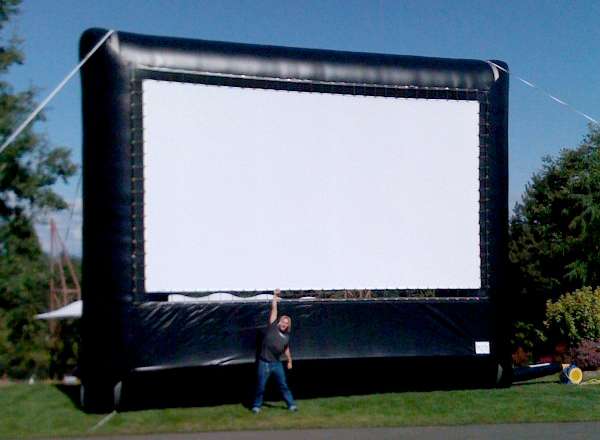 Epic Events has been the Seattle area’s leader for professional outdoor movies and inflatable outdoor movie screen rentals since 2002. Contact Epic Events today at 360.733.2682 or email us at info@epicevents.us for more information. 20-Foot Outdoor Movie Screens Rentals for Community and Professional Events: 20-foot inflatable movie screens are perfect for small to mid size events and great for crowds from 6 to 600 or more. 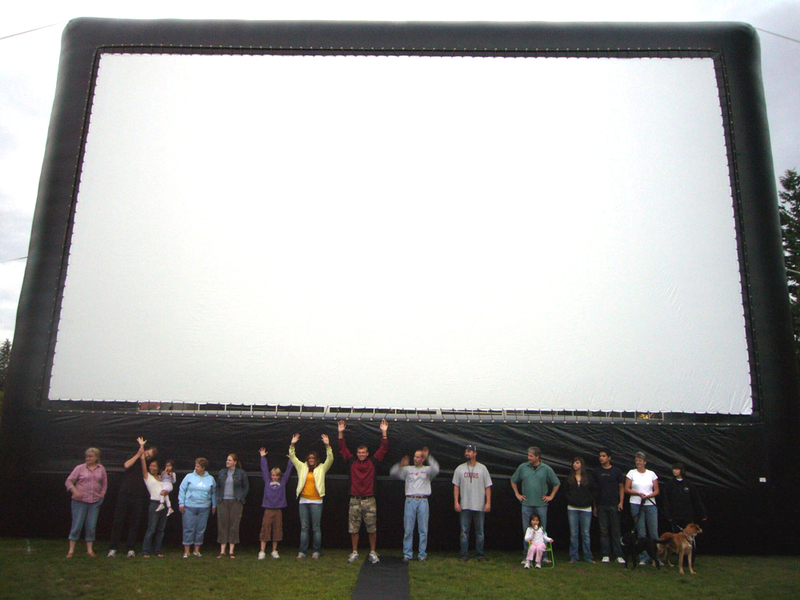 Top of the line professional movie screens manufactured by Open Air Cinema! Drive-In Movie Rentals: If you’re interested in renting a drive-in movie package we provide all the same equipment as a walk-in event plus FM transmission so your event attendees can listen in their cars . Why Epic Events? We are fun and easy to work with. Our staff is awesome. Our equipment is the best in the industry. We offer the best price and service available. 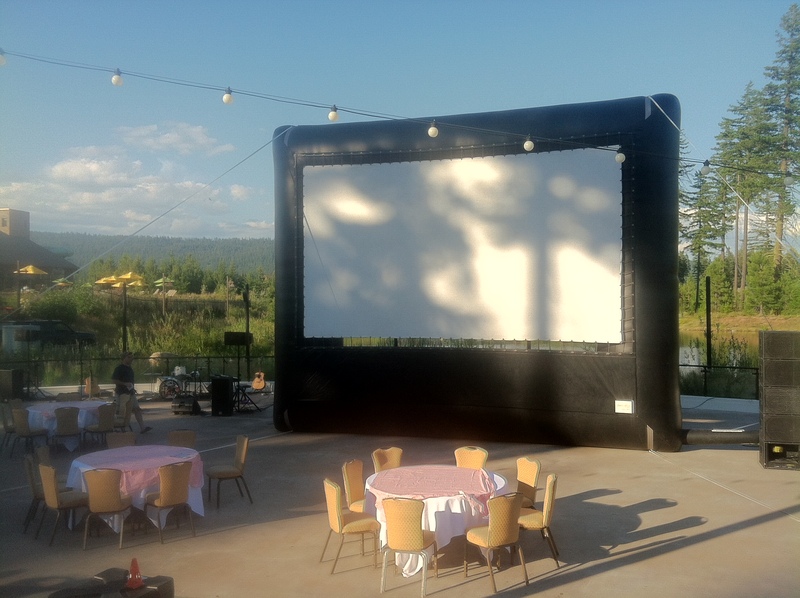 We’ve been producing outdoor cinema events in the Seattle and Portland area since 2002 and are the most experienced and professional outdoor movie provider in the Pacific Northwest. What time do outdoor movies start? Outdoor movies can be started approximately 20-40 minutes after sunset depending on date and time of year. Please contact us to get start times for your movie event. What movies can we show? Most movies are available for outdoor showings shortly after they have left theaters and are released on DVD. However, there are exceptions and all movies are not available. Please contact us for more information. Do you do backyard events or birthday parties? Not usually. Our smallest outdoor cinema rental includes a 20-foot screen and full production which is usually larger than most back yard parties need. Our packages are mostly geared towards larger outdoor community and professional events. What kinds of events are good for outdoor movies? 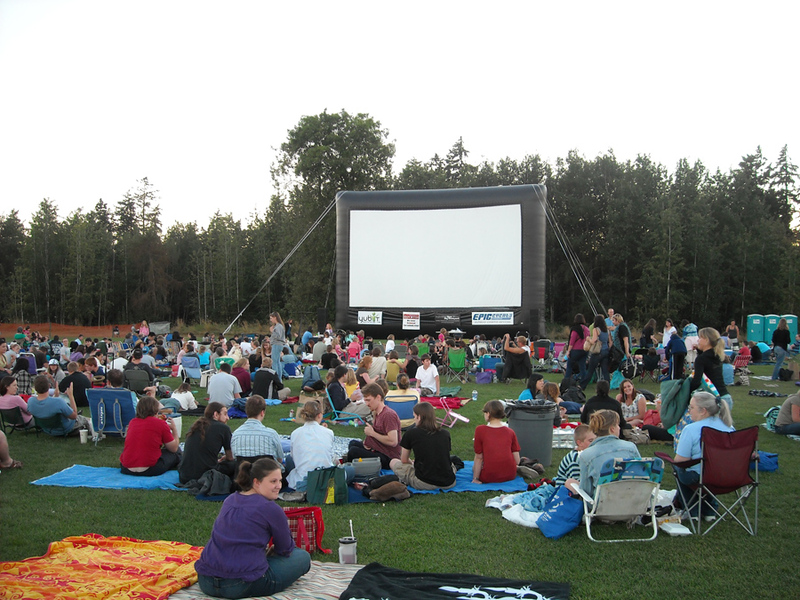 Our outdoor movie theater rentals and event packages are perfect for movies in the park, city events, college campuses, golf courses, parking lots, roof tops, company picnics, product launches and special events. We do not normally do private home events.